Free agency is now just hours from opening up and there are quite a few prominent players set to hit the open market while many teams have key restricted free agents to re-sign. Here is a breakdown of Winnipeg’s free agent situation. 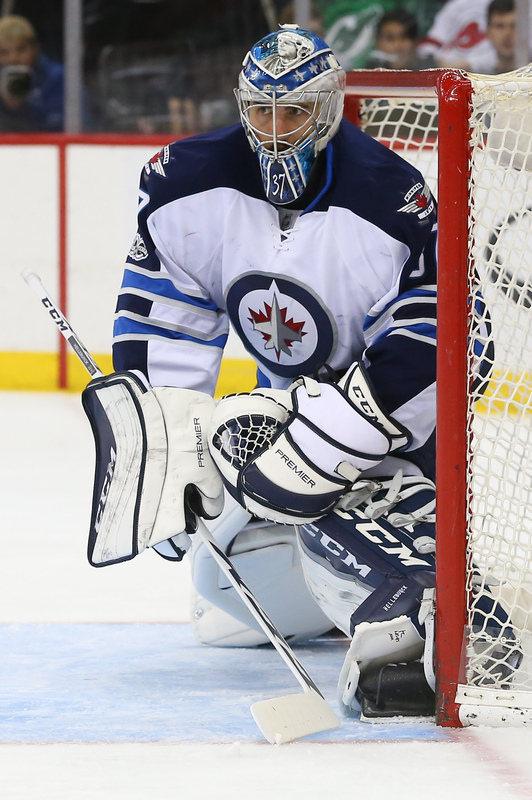 Key Restricted Free Agents: G Connor Hellebuyck – After a mediocre 2016-17 season, Hellebuyck and the Jets opted to settle on a one-year contract rather than work out a long-term pact. That’s a decision that turned out quite well for the netminder as he led the league in wins and games played while posting a very strong 2.36 GAA and a .924 SV% before following that up with nearly identical numbers in the postseason. That has him in line for a big raise from the $2.25MM he made this past season. Unlike last summer, the 25-year-old is eligible for salary arbitration this time around as well. He’s two years away from UFA eligibility so this will be the time to get a long-term pact done as they won’t want to risk giving Hellebuyck the option to simply file for a hearing next summer, take another one-year deal, and head for free agency in 2020. He doesn’t have the long-term success to get top dollar but his numbers at this time in his career are pretty close to San Jose’s Martin Jones before 2017-18 when he signed a six-year, $34.5MM contract (7.67% of the salary cap). A new deal for Hellebuyck could check in at that amount as well. D Jacob Trouba – It took a long time to get a deal done last time around as discussions wound up lasting into the 2016-17 season. It shouldn’t take as long this summer as Trouba has arbitration rights so if he wants to ensure a contract is done well before training camp, he can simply file for a hearing and then there won’t be a holdout situation. Finding the right value is going to be a challenge, however. Two years ago, the 24-year-old had a career year despite the contract squabble. He wound up with 33 points in 60 games and averaged nearly 25 minutes a night. Things didn’t go as well in 2017-18 though. He had trouble staying healthy (playing in just 55 contests), his point total dropped to 23, while his ATOI was the lowest of any of his five NHL seasons (21:54). Trouba may very well want to be paid like a top pairing defender but his output was more of a second pairing player. That’s the gap they’re going to need to bridge in negotiations. Key Unrestricted Free Agent: F Paul Stastny – The veteran fit in quite well with the Jets who acquired him at the deadline. He wasn’t counted on to be the number one center like he was in St. Louis and the lesser role fit him quite well. He was quite productive for them down the stretch and in the postseason and there is mutual interest in him returning. On the other hand, he is the second best center available on the open market and is bound to receive several big offers. Winnipeg made a move on Saturday to free up cap room to help give them a shot at bringing Stastny back but with all of their other players to re-sign, they may still be in tough to do so. Early indications are that they still aren’t in agreement on terms and that Vegas is now the front-runner for his services. Projected Cap Space: The good news is that Winnipeg has plenty of cap room to work with as they sit nearly $28.2MM below the cap, per CapFriendly. They have a lot of core players to sign though and by the time they do that and fill out the rest of their roster, it’s doubtful that they’ll have enough to be players in free agency or the trade market unless they free up some more funds first. Free agency is now just days from opening up and there are quite a few prominent players set to hit the open market while many teams have key restricted free agents to re-sign. Here is a breakdown of Nashville’s free agent situation. Key Restricted Free Agents: G Juuse Saros — The goaltender of the future just burned his final year of his entry-level deal and now goes into restricted free agency. Still blocked by Vezina Trophy winner Pekka Rinne, the 23-year-old netminder has transitioned nicely into the team’s backup who can give the 35-year-old Rinne a breather once in a while. In a career-high 26 NHL games last year, Saros put up a 2.45 GAA and more importantly a .925 save percentage. With Rinne on the last year of his current seven-year, $49MM deal he signed back in 2011, Saros time as the starting goaltender of the future could come soon, who even managed to make four appearances in the team’s abbreviated playoff run. With an AAV of $925K last season, Saros should get a nice bump up in pay next season. F Ryan Hartman — The gritty forward was picked up at the trade deadline from the Chicago Blackhawks for their playoff run and projects as a solid and versatile bottom-six option for a deep Nashville roster. The 23-year-old posted a 31-point season between the two teams last year, including three goals and six points in 21 games with the Predators, while averaging 13:46 of ATOI. He added another two goals in nine playoff games for Nashville. After a season in which he made just $863K last season, he should get a raise, but with no arbitration rights, probably won’t cost the team too much. Other RFA’s: F Miikka Salomaki. Key Unrestricted Free Agents: Alexei Emelin — The team traded for Emelin last offseason as a means to bring in a potential top-four defenseman to fill in for the injured Ryan Ellis for the first half of the season. The 32-year-old posted almost the exact same numbers last year, but once Ellis returned in January, Emelin’s minutes dropped and in the end averaged a career-low in minutes with just 16:53 ATOI. He will take a major paycut after receiving $4.1MM last year in a deal he signed with Montreal back in 2013. However, with seven defensemen with NHL experience already locked up on the Predators roster, it doesn’t look like Emelin will return to Nashville next season. F Scott Hartnell — While the 36-year-old had respectable numbers in his return to Nashville, the 17-year veteran is not expected to return to Nashville with the amount of young talent that is trying to break into the Predators lineup. Regardless, the veteran has already stated that he intends to play for another season, but almost assuredly will be looking for a new home. Other UFA’s: F Cody Bass, F Brandon Bollig, G Anders Lindback, F Mark McNeill, G Matt O’Connor, D John Ramage, F Trevor Smith, F Harry Zolnierczyk. Projected Cap Space: The Predators are projected to have $12MM in available cap space going into free agency and while the team does have to lock up a couple restricted free agents like Saros and Hartman, the team has money to play with. Regardless, the Predators haven’t been in on many free agent rumors so far suggesting the team might hold back and add specialty players to team that intends to challenge for a Stanley Cup this year. The team also must be ready to have the eventual cap space to lock up Ellis, who will be a free agent in the 2019-20 season. Free agency is now just days from opening up and there are quite a few prominent players set to hit the open market while many teams have key restricted free agents to re-sign. Here is a breakdown of Boston’s free agent situation. Key Restricted Free Agent: F Sean Kuraly – This was Kuraly’s first season as a regular and he acquitted himself relatively well on the fourth line as he provided the Bruins with a physical presence and the odd timely goal. Given his limited track record though, he won’t have much leverage when it comes to contract negotiations even though he is eligible for salary arbitration. His qualifying offer came in just shy of $875K and his next deal should be close to that amount. Key Unrestricted Free Agents: F Rick Nash – While his production has tapered off in recent years, that didn’t stop several teams from pursuing Nash at the trade deadline. His days as a top-line scorer are finished but he can still slot in nicely as a second liner, something that the Bruins were hoping for when they acquired him. Unfortunately for them, he suffered a concussion shortly after joining the team and while he was back for the playoffs, he didn’t make much of an impact. Nash was projecting to be one of the top free agents available this summer – he’s ranked sixth in our Top 50 UFA Rankings – but he has taken himself off the market for the time being as he has told teams that he is unsure if he intends to play in 2018-19. Boston was among the teams that had expressed interest in signing him during the interview period so it will be interesting to see if they leave enough cap space freed up this summer to circle back to Nash if he decides later on that he’s going to play next season. F Riley Nash – The other Nash had quite the season. After being expected to be primarily a depth player, he worked his way into a regular spot on the third line and never looked back, posting career highs in goals (15), assists (26), and points (41) while winning a respectable 48.4% of his faceoffs. With it being a pretty weak market for centers in free agency, the 29-year-old is poised to land a considerable pay raise and some long-term contract security on the open market. Projected Cap Space: The Bruins currently have just shy of $12MM in cap room this offseason, per CapFriendly. Even after re-signing Kuraly and finding a replacement for Khudobin with his return appearing to be unlikely, they should have enough room to add a notable player either through trade or free agency. Free agency is now just days from opening up and there are quite a few prominent players set to hit the open market while many teams have key restricted free agents to re-sign. Here is a breakdown of Pittsburgh’s free agent situation. Key Restricted Free Agent: D Jamie Oleksiak – After locking up winger Bryan Rust earlier, Oleksiak is the lone remaining NHL RFA that the Penguins have. The 25-year-old started out 2017-18 the same way his last couple of years had gone with Dallas – he was in and out of the lineup and wasn’t getting a lot of playing time when he did get to play. His fortunes certainly changed for the better back in December when Pittsburgh acquired him for a conditional 2019 fourth-round draft pick. He found a home as a regular on the third pairing and his performance picked up as a result. He’s eligible for salary arbitration this summer but it’s more likely that they settle on a one-year pact that checks in a little bit above Oleksiak’s $1MM qualifying offer. Key Unrestricted Free Agents: F Tom Kuhnhackl – The German checker was a bit of a surprise non-qualifier after playing a regular role this past season. It later came out that he had rejected a two-year offer from the team, presumably at a rate close to his $726K qualifying offer. The 26-year-old will now hit the open market in the hopes of finding another team willing to give him a spot on their fourth line. 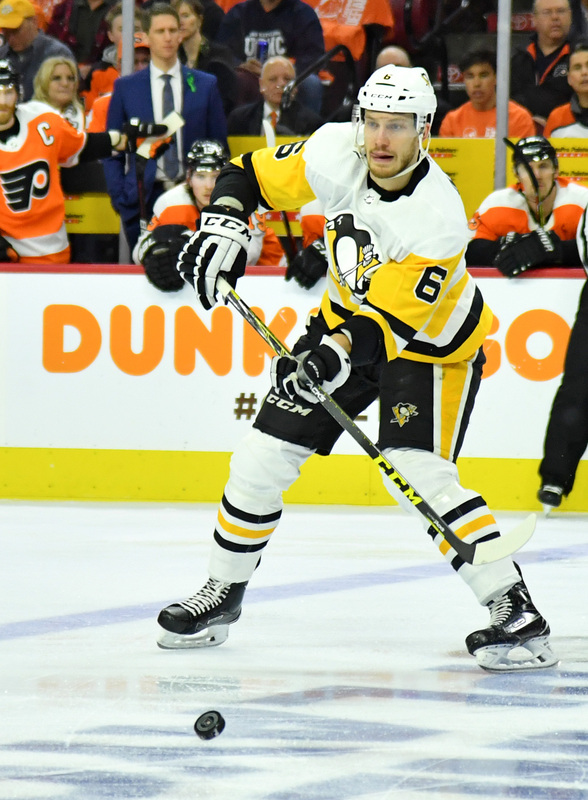 F Carter Rowney – After being a regular for a big chunk of Pittsburgh’s 2017 Stanley Cup run, it didn’t result in a lot of playing time for Rowney in 2017-18. He played in just over half of their games, predominantly on the fourth line. The 29-year-old at least offers some positional versatility in that he can play both center and the wing which should help his cause as he looks to catch on elsewhere. Projected Cap Space: After clearing out Conor Sheary and Matt Hunwick, the Penguins used a good chunk of those savings to bring back Riley Sheahan for $2.1MM. That leaves them with a little over $8MM to work with, per CapFriendly. It’s widely-anticipated that they will land defenseman Jack Johnson for around $3.2MM per year which gives them just under $5MM to work with. Oleksiak will take up a small chunk of that while they need to add a forward or two to the roster as well. They have enough space to work with to make a small addition in free agency but if they plan to make another splash, they will likely need to free up some more cap room to work with first. Free agency is now just days from opening up and there are quite a few prominent players set to hit the open market while many teams have key restricted free agents to re-sign. Here is a breakdown of San Jose’s free agent situation. Key Restricted Free Agents: F Tomas Hertl – The 24-year-old is coming off of a nice bounce-back season that saw him set a new career high in goals (22) while equalling his best point total (46). He also did so while spending a significant amount of time at center. All of these will certainly help his arbitration-eligible case as he comes off of his bridge deal that saw him receive a $3.2MM qualifying offer by the deadline back on Monday. With them getting Mikkel Boedker and his $4MM off the books, they’re widely expected to be involved in the free agent and trade market. How they fare will likely dictate whether they go with a long-term deal for Hertl or a one-year pact to save on the cap hit a little bit. Based on comparable contracts, a long-term pact is likely to check in around $5MM while the one-year deal would be closer to $4MM. F Chris Tierney – Tierney’s emergence as a legitimate secondary scorer largely went under the radar in 2017-18. After putting up a combined 43 points in the previous two seasons, the soon-to-be 24-year-old tallied 40 points (17-23-40) while doing so for not much above the league minimum. That’s going to change this summer as he is eligible for arbitration and he’s going to have a case to push for an AAV around the $3MM range, assuming they work out a multi-year deal. After being viewed as a depth piece, Tierney now factors in as their third line center for the foreseeable future. Key Unrestricted Free Agent: F Joe Thornton – 2017-18 wasn’t a great year for the veteran. Thornton suffered a knee injury in late January that kept him out of the lineup for the remainder of the season and playoffs. However, he was still relatively healthy as he posted a respectable 36 points in 47 games while notching his best goals per game average (0.28) since 2008-09. He may be slowing down but he can still play a top-six role. 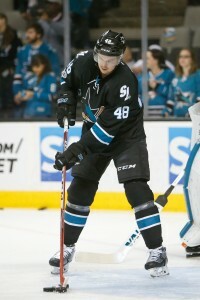 The expectation is that the soon-to-be 39-year-old will ultimately re-sign in San Jose. The question is for how much his one-year deal will be. He’s coming off an $8MM salary but with him missing so much time, he’s not going to get that high of a guarantee this time around. Part of his next salary will be determined by what else the team does this summer but it wouldn’t be surprising if his deal is more bonus-laden this time around to hedge against further injury woes. Projected Cap Space: The Sharks find themselves with just under $19MM to work with this summer per CapFriendly. While re-signing their own players will take a big chunk out of that, they should have enough room left to be suitors for the top players in free agency and in the trade market. They’re going to be heard from over the next few days. Free agency is now less than two weeks away from opening up and there are quite a few prominent players set to hit the open market while many teams have key restricted free agents to re-sign. Here is a breakdown of Toronto’s free agent situation. Key Restricted Free Agent: F William Nylander – While he hasn’t received as much of the spotlight as his young teammates have, Nylander has quietly become a very productive player already as he collected 61 points for the second straight season. Yes, his ice time was down a little bit in their first round loss to Boston but that’s not going to have any sort of real impact on contract talks. Typically, with a youngster putting up these types of numbers early on, a long-term contract would be a near no-brainer. 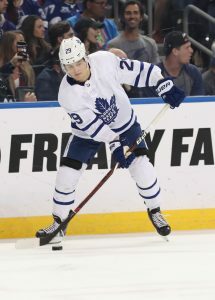 However, with new contracts on the horizon for center Auston Matthews and winger Mitch Marner, Toronto may at the very least have to look into a shorter-term bridge deal since the other two could approach $20MM on their next deals. A long-term pact for the 22-year-old could check in around $6MM or more per season based on comparables around the league while a short-term pact would cost a bit less and give Toronto more flexibility for 2019-20 but would also cost them more when Nylander’s third contract kicks in. At this stage, a long-term pact still is the likeliest outcome. Key Unrestricted Free Agents: F James van Riemsdyk – Although van Riemsdyk’s ice time was somewhat limited in 2017-18 (14:54 per game, his lowest since his sophomore year), it didn’t slow down his goal production as he collected a career-best 36 tallies. That ties him with Islanders center John Tavares for the most goals among unrestricted free agents. He’s also one of the younger top players in this UFA class at just 29 years of age. He’s going to be one of the most sought-after players on the open market next month and should be able to garner a max-term deal of seven years (assuming he doesn’t re-sign with Toronto). F Tyler Bozak – It isn’t a great market for centers this summer and Bozak is poised to benefit from that. Although he dropped to just 11 goals this past season (his lowest in any full year), he was still reliable defensively and his usual strong self at the faceoff dot. The 32-year-old also saw his playing dropped to 15:39 per game; it’s certainly quite plausible to think that there will be teams that think he can get back to 15 goals and 50 points in a second-line role. A five or six-year contract isn’t out of the question and he’s set to get a nice raise of the $4.2MM cap hit he has played on for the last five seasons. Projected Cap Space: With the re-signing of defenseman Connor Carrick earlier on Wednesday, the Leafs now have just under $55MM committed for next season per CapFriendly, an amount that includes $5.3MM for the injured Nathan Horton who will once again be LTIR-eligible. With the salary cap set at $79.5MM, that gives Toronto a little more than $24MM to work with. Nylander will take up a sizable chunk of that but they should still have plenty to spend. 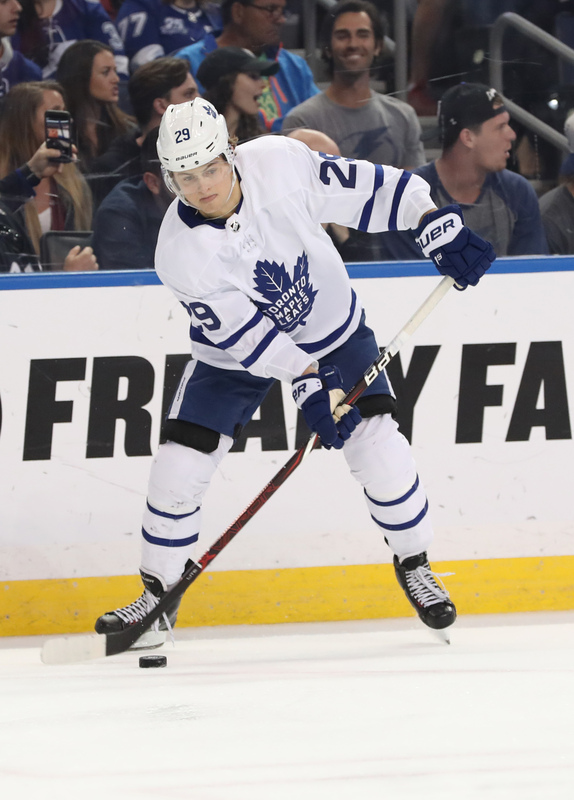 However, new GM Kyle Dubas will need to tread carefully knowing that new contracts are on the horizon for Matthews and Marner so it wouldn’t be surprising to see Toronto pursue some short-term deals either via trade or the UFA market in the next few weeks. Free agency is now less than a month away from opening up and there are quite a few prominent players set to hit the open market while many teams have key restricted free agents to re-sign. Here is a breakdown of Anaheim’s free agent situation. Key Restricted Free Agents: F Ondrej Kase — After just a 15-point season a year ago, Kase came on strong this year and proved to be invaluable for the Ducks in a season in which not much went right. The playmaking forward came out and put up 20 goals in his second season and that was despite playing in just 66 games. That’s not the best timing in terms of salary cap issues for the Ducks as Kase, who made $670K last season on the final year of his entry-level deal, could be due for a significant raise as he will likely fight for a spot on the team’s second line next season. The only real issue that Kase has is the injuries he’s dealt with over the years. He hasn’t played a full season yet for Anaheim as he just played 53 games the previous season and combined to play just 39 games over two seasons with the San Diego Gulls of the AHL between 2015-17. D Brandon Montour — After a breakout season a year ago in which Montour came up to Anaheim to replace an injured Clayton Stoner, the young blueliner established himself quickly as a top young defenseman. The 24-year-old proved to management that they could part with Shea Theodore last season in an expansion draft deal and survive with Montour amongst their top four. The defenseman took that step and has been a reliable anchor to the Ducks’ defense, averaging 20:28 of ATOI this season. And now after making $925K last season in the final year of his entry-level deal, Montour should also get quite a pay raise and could walk away with a long-term deal. Other RFA’s: G Kevin Boyle, F Nicolas Kerdiles, F Kalle Kossila, F Nick Ritchie, F Kevin Roy, D Andy Welinski. Key Unrestricted Free Agents: D Kevin Bieksa — At 37 years of age, Bieksa doesn’t have as much to offer the Ducks than he did in his prime. Now with his $4MM cap hit gone, however, there may still be quite a bit of interest for both parties to remain together as a depth option, albeit at a significantly lower cost. Bieksa did miss some time this season after undergoing hand surgery in March and while he did return by the end of the season, he wasn’t the same as he played in just one of the team’s four playoff games. Regardless, with some of the depth issues the team dealt with last year after trading away Theodore and Sami Vatanen, the team wouldn’t mind bringing the physical veteran back. F Derek Grant — After years of bouncing around the NHL as a spare forward for many years, Grant has finally found a team that has brought the best out of him. The 28 year old managed to appear in a career-high 66 games where 40 was his previous best and put up 12 goals and 12 assists for Anaheim in a bottom-line role, averaging a career-high 11:06 in ATOI. After signing last year with the Ducks for $605K, he is in line to get a better deal. Throw in the possibility that top center Ryan Kesler might miss all of next season and the team may want Grant around even more. Other UFA’s: F Jared Boll, F J.T. Brown, F Jason Chimera, F Chris Kelly, F Michael Liambas, F Scott Sabourin, F Corey Tropp, F Antoine Vermette. Projected Cap Space: The Ducks don’t have as much wiggle room as they would like as they have just over $9MM of projected cap space available to them. While they don’t have any significant unrestricted free agents they need to sign, some of the cap space will have to be devoted to their restricted free agent group, including Kase, Montour and Ritchie, which leaves them with little room to go out and add a high-profile free agent to bolster their veteran roster. With much of their money going towards their veteran core, the team may have to try to find some players in the bargain bin to bolster their roster for next season. Free agency is now less than a month away from opening up and there are quite a few prominent players set to hit the open market while many teams have key restricted free agents to re-sign. Here is a breakdown of Los Angeles’s free agent situation. Key Restricted Free Agent: F Tobias Rieder – The Kings added the speedy winger back in February in the hopes that a change of scenery would rejuvenate him after he started to struggle with Arizona. That didn’t happen as he wound up collecting just six points in 20 games while seeing his playing time dip to under 13 minutes per game. That all said, the 25-year-old has scored at least a dozen goals in each of his four full NHL seasons and has the versatility to play both wings while also being good enough to log time on the penalty kill. He’s a useful depth player to have that can move up when injuries arise. The big question here is whether the Kings have seen enough to give him a qualifying offer. The back-loaded nature of his bridge deal means that his qualifying offer checks in at $2.45MM. For a team that doesn’t have a lot of roster or salary cap flexibility (more on that later), non-tendering Rieder would give them a bit more flexibility to work with this summer. 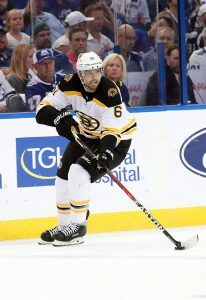 He’s the lone NHL restricted free agent they have to deal with and a decision could come down to the wire before the tender deadline on June 25th. Key Unrestricted Free Agents: F Torrey Mitchell – Another midseason acquisition, Mitchell was brought in to win faceoffs and kill penalties from the fourth line. He wasn’t as successful at the dot as he had been in recent years but he took a regular turn on the penalty kill and chipped in with 11 points in 49 games. 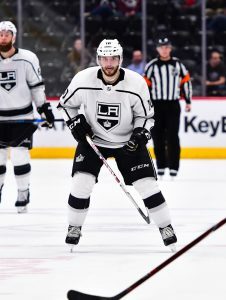 He’s someone Los Angeles could look to bring back in a similar depth role although he’d need to take a pay cut from the $1.3MM salary he received in 2017-18. D Christian Folin – Folin’s first season away from Minnesota was his best. He set career highs in games played (65) and points (13) while logging 15:39 per game, an uptick over his time with the Wild. He’s a depth defender who is best served in a sixth/seventh role but he’s still young enough (25) that teams will take a chance on him while it helps that he plays on the right side. The Kings could choose to bring him back to play the same role but if they don’t, he should be able to land a one-way contract again this offseason. Projected Cap Space: With 20 players under contract already for next season, the roster is pretty close to full. Accordingly, the Kings have the most money committed for 2018-19 at just over $71MM, per CapFriendly. A new deal for Rieder if they keep him would likely put them over $74MM and give them enough space to add a mid-tier free agent assuming the salary cap goes up a few million as expected. If they non-tender him though, they may have enough to go after one of the more prominent UFAs (or go after an established top-six forward in a trade). It will be a quiet offseason in Los Angeles but they should have at least one move in them.